The only real struggle was getting Squarespace to play nicely with some of the more advanced additions such as the fancy Jquery sliders. We had to do some workarounds, but the overall result still looks good. I am really looking forward to the release of Squarespace Version 6 - which apparently is coming very soon - as I hope that the new version will have addressed some of the current system's limitations and make it even easier to create professional-looking, easy-to-use websites in future. 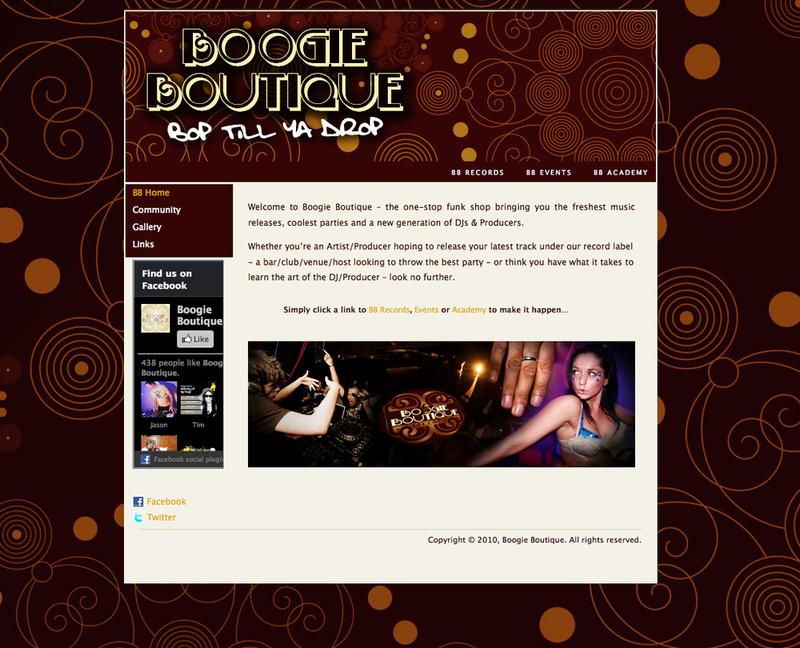 If you’re like the Boogie Boutique guys – finding it hard to make Squarespace look pretty, or stuck with a boring cookie-cutter template – drop me a line and I’d be happy to work with you to help improve your site’s look and/or user-friendliness.